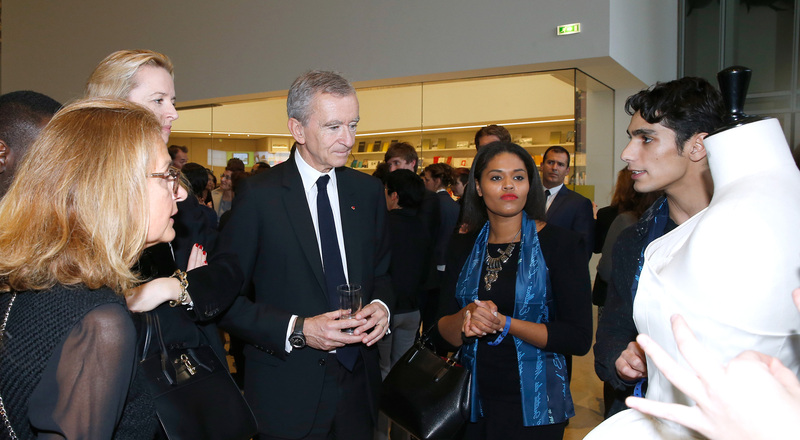 The Fondation Louis Vuitton invited the second class of students in the LVMH Institut des Métiers d’Excellence (IME) vocational training program on October 27th to a ceremony marking the start of the 2015 school year. 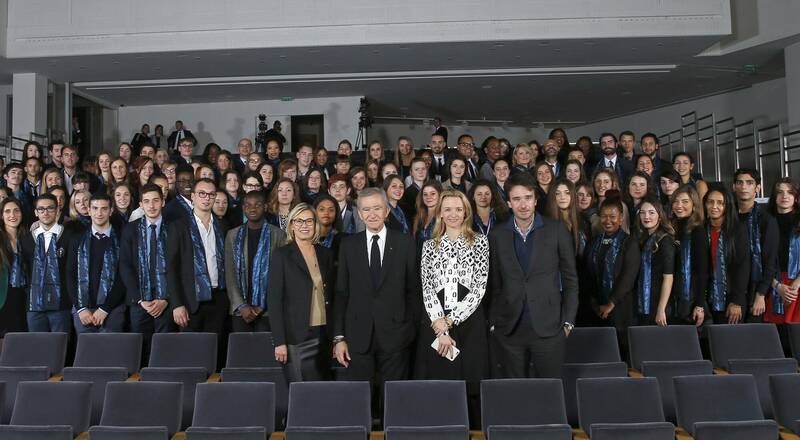 The 100 new students joining the IME this year were welcomed by LVMH Chairman and CEO Bernard Arnault. Highlights from the inauguration. The IME vocational training program was launched in July 2014, offering degree courses that allow students to combine training at prestigious schools – including the Ecole de la Bijouterie Joaillerie de Paris jewelry school, the Ecole Boulle and the Maison des Compagnons du Devoir – with professional experience in the workshops of LVMH Houses. Training covers a variety of areas such as “couture flou” (draping, or “soft” couture), retail sales and winemaking. The objective is to train the talented artisans of tomorrow. 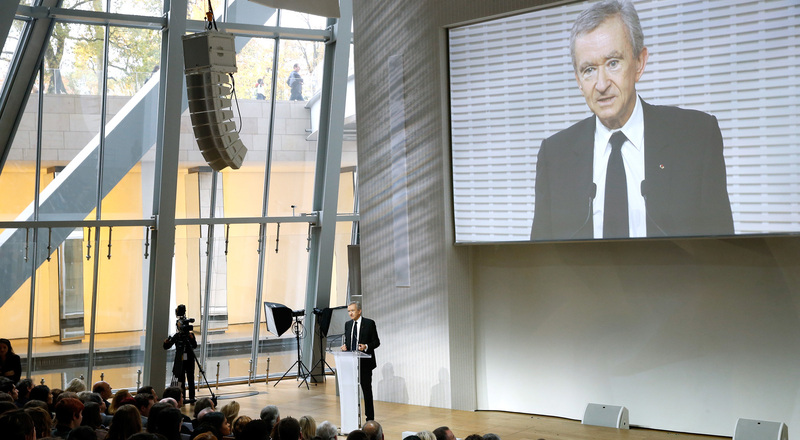 Bernard Arnault had words of encouragement for the new IME students: “You need to be optimistic, persevering, and even a bit stubborn.” After talking about the Group’s values, he reminded them of the fundamental raison-d’être of LVMH and its people: “We are there to sell dreams and spark desire.” This vision will certainly provide inspiration to the students as they embark on this uniquely rich educational experience.